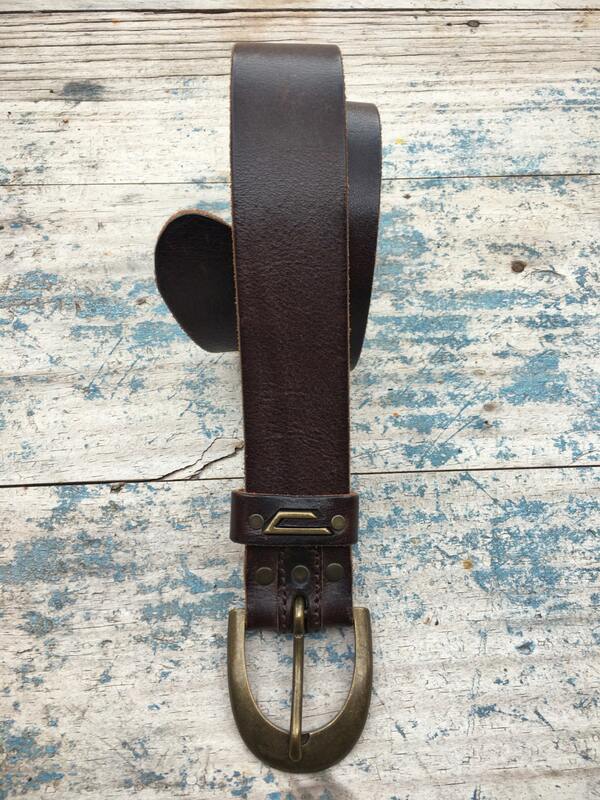 Made in Italy, genuine leather, brass buckle, a great size that fits a lot of waists--what more can I say. The previous owner did punch a hole smaller than the smallest 38" hole, so there's that. 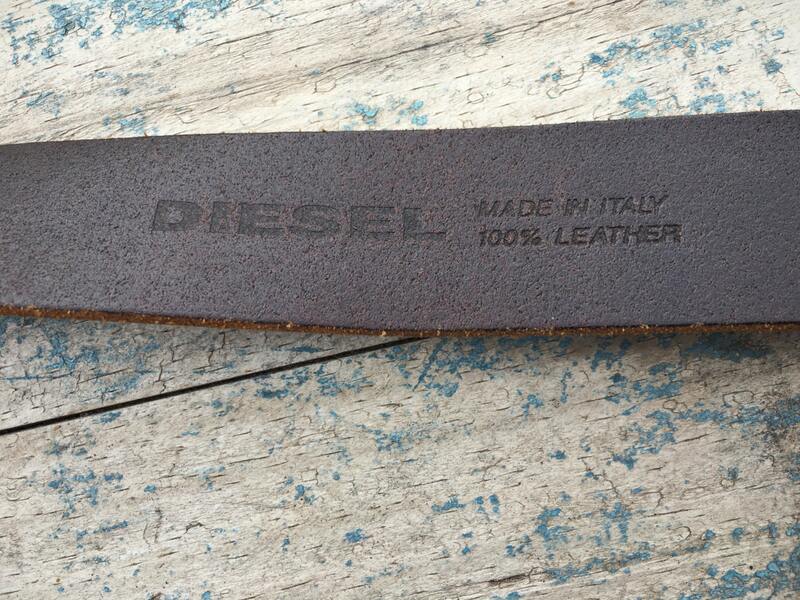 But just a great looking belt, and to get a designer Made in Italy accessory these days is to pay through the nose. 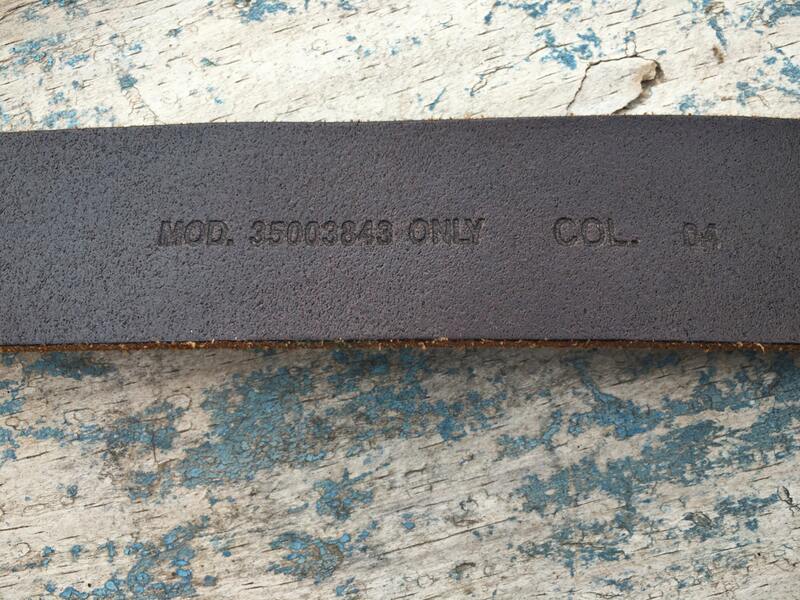 The belt is marked size 95, which is the centimeter measurement; that translates to a size 38. 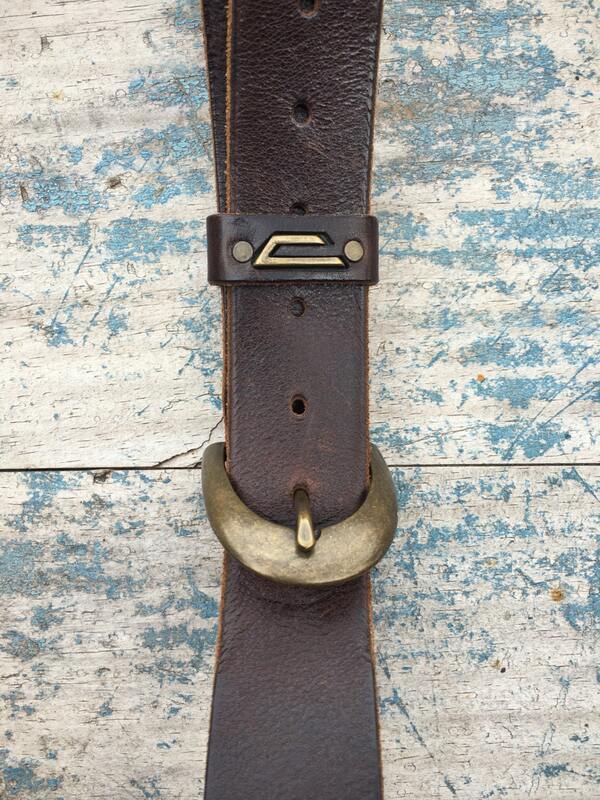 Measures 1-1/2" wide about 45" long including the belt buckle. 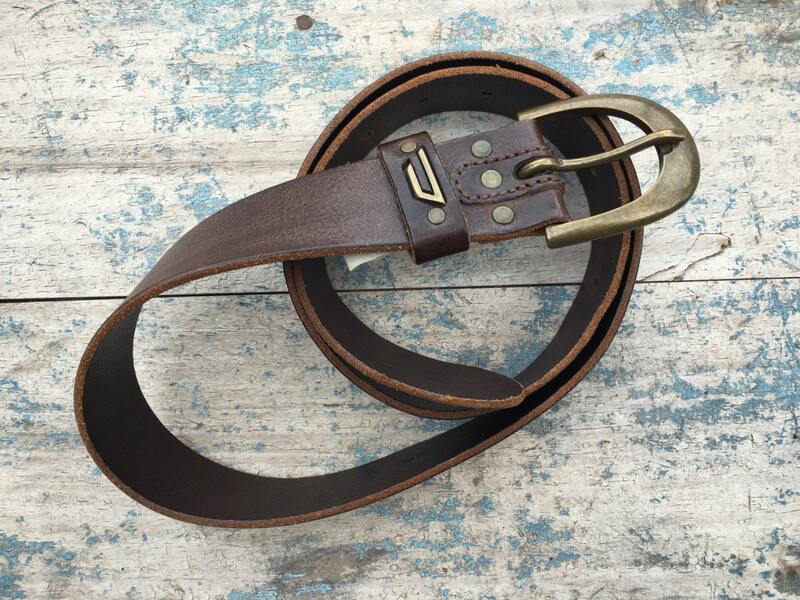 The distance from buckle prong to first hole is 32" (not including the hole that someone later punched in) and to last hole 38", meaning it is ideal for a waist size between 32-38. The buckle measures about 2" by 2-1/8". Beautiful patina on both brass and leather. Designer belt at not-designer price.